WHERE WAS THE TEMPLE OF SOLOMON? It's not difficult to know! Again and again the Psalms tell us where it was! It was in the MIDDLE of the City! The City of David at that time was on the neck of land near the Gihon Spring, the site where David had erected his temporary tent for the Ark of the Covenant, the site known through the ages as HaMakom, THE PLACE. (It's visible in the above 1910 aerial photo of Jerusalem, as the neck of land south of the alleged Temple Mount enclosure). The Temple was not outside the city—The City of David—it was WITHIN it, as its heart. Not on the alleged ‘Temple Mount’ but as the centre-piece of the City of David at the site known throughout the Bible as HaMakom—THE PLACE. David prays that his sin does not spoil God's plans for a temple IN ZION! There is no doubt that this Psalm describes the repenting heart of David following his sin with another man’s wife—Bathsheba. After his confession and plea for mercy there is a series of requests that include being washed and cleansed and that God will not remove his Holy Spirit from David. There was no doubt in David’s mind that all the activity of the altar was to be centred in Zion...that is, the City of David (see 2 Samuel 5:7) and near that ancient water source (the living water that represented the flow of life from God), the Gihon Spring. The picture above is an artist's impression of the ancient City of David with the protruding wall protecting the Gihon Spring. It was above this, within the City of David, that Solomon built the temple. The karst type spring gushed (that's what Gihon means) and the water was piped up under its natural pressure to serve the purposes of the temple and sacrifices. Babylon had the Euphrates. Nineveh had the Tigris. And Jerusalem? Oh yes, there was a stream—the 'river' or stream that David said ‘made glad the city of God’! (see Psalm 46:4). It was called the ‘Bursting Forth’ or Gihon, and it sprang up on the eastern slope of the southern ridge of Mt Moriah. It was a powerful, karst type, spring (similar to Crystal Geyser, the cold water geyser pictured left at Green River Utah, USA) and its waters were piped up into the Temple and the City of David. It provided the ‘living water’ that was necessary to represent the Presence of God—and David also had this to say about it in relation to those who put their trust in God: ‘...they are abundantly satisfied with the fullness of your house AND you give them drink from the river of your pleasures, for WITH YOU is the fountain of life’ (Psalm 36:8 & 9). WITH HIM! There, where his presence dwelt in the holy place, within the City of David. The requirement for living water at the place of his presence DEMANDS that the temple be located in the City of David, otherwise known as Zion! THE NEPHILIM: freaks or failures? There has been much fanciful speculation about the Nephilim of Genesis 6, with some concluding they were the product of the mating of male angelic beings and human women. I don’t believe so. For starters, there is no scriptural evidence for gendered angelic beings. To conclude this is a stretch as the statement in Genesis 6:4 that there were Nephilim in the land is not the conclusion of the statement in 6:2 about marriage of the ‘sons of God’ to the daughters of men. They are two separate statements of fact. It cannot be concluded that one is the result of the other. The NEPHILIM were fallen and corrupted men who were committed to following their corrupted desires, away from God. SO...who were/are 'the sons of God' in the Bible? 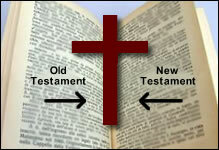 CAN THE OLD TESTAMENT BE DISCARDED? 'THE PEOPLE: The Sons of God (through the eyes of a Watcher)"
For more information on 'THE PEOPLE...' and where to buy it, click here. Yes, they took them as wives. They SAW and they took. It’s a quote from Genesis 6 and already in these early times there were two streams—just as there are today. Those who, like Abel, followed the inner promptings from God and those, like Cain who were at best half-hearted toward God and preferred to follow their own desires. ‘THE PEOPLE: the sons of God (through the eyes of a Watcher).’ See availability and some reviews here.